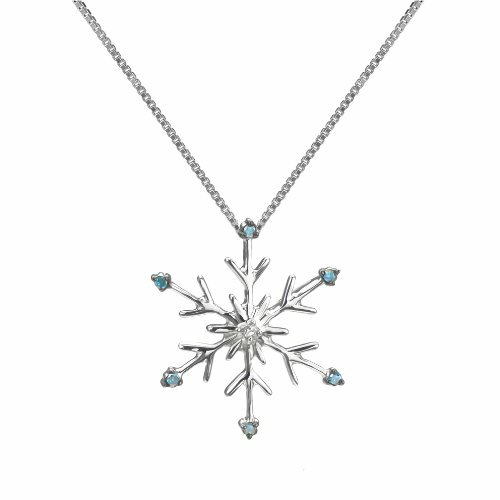 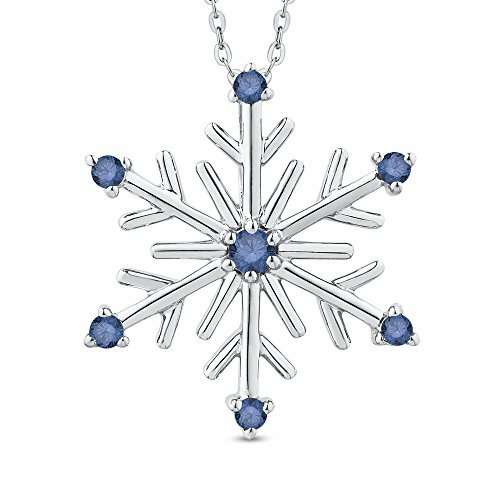 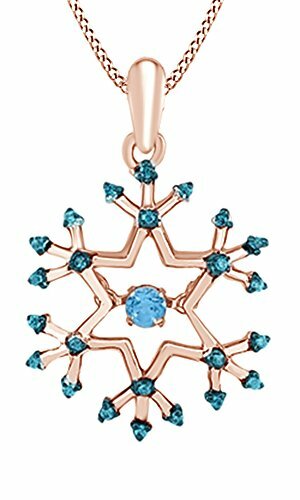 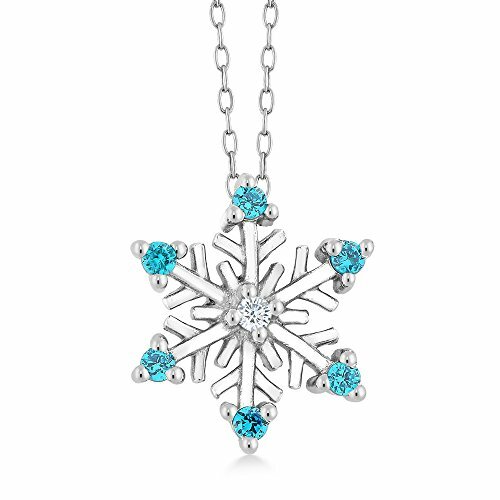 This pendant showcases an intricate snowflake design adorned with six glittering blue diamond accents and a single white diamond accent in the center. 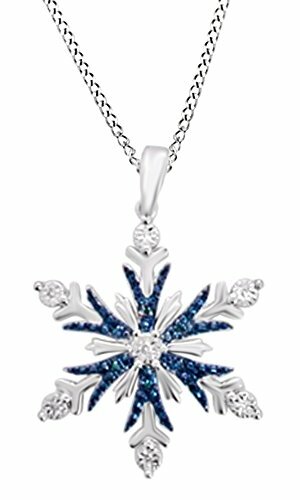 This jewelry is crafted of sterling silver with a highly polished finish. 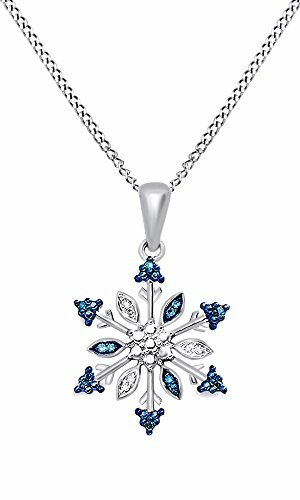 Sterling Silver Snowflake Swiss-Blue-Topaz and Diamond Accent Pendant Necklace, 18"
Diamonds sparkle like sun on snow in the sterling silver setting of these snowflake designs. 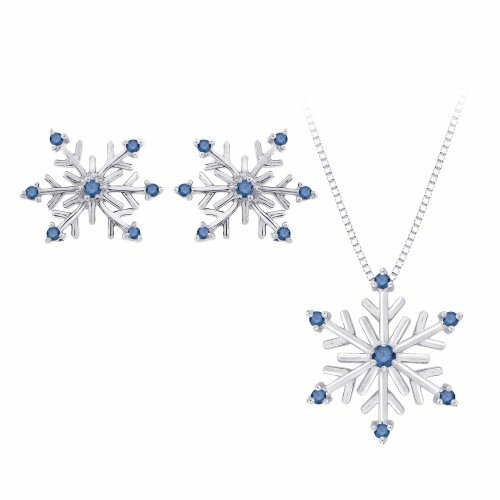 Set includes earrings (0.12 ct.) and pendant (0.1 ct.) with 18-inch sterling silver chain.